New London TMAU Patient Support Group. Karen writes. London Metabolic Unit TMAU Patient Support Group. Started in July 2016 by the Adult Metabolic Unit Staff. Expected to meet 3-4 times a year. Karen attended the recently started TMAU patient support group started by UCLH adult metabolic unit. So far the group has met twice (July and October). This is the 3rd known Adult Metabolic Unit to start a TMAU patient support group. The other 2 known groups also started this year, at the metabolic units in Dublin (Ireland) and Birmingham (UK). 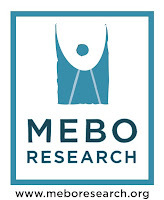 Karen.is MEBO Research UK Public Relations Director (volunteer). Message from Karen about the recently started TMAU patient support group started by UCLH this July. So far has met twice. The TMAU patient group at UCLH was set up in July 2016 by members of Dr Lachmann’s staff team. At the current time, it is open to those patients of Dr. Lachmann who have received a positive diagnosis of TMAU at his clinic. It is hoped, however, that the group will be able to expand to include other sufferers of malodour in the future. The main activity of the session, led by a clinical psychologist, involved group members analysing the skills/attitudes they adopted in order to challenge a particular difficulty brought on by having TMAU. A few people described the initiatives they took in specific situations, for example, their actions during incidents of workplace bullying, or their preparations to improve confidence prior to attending a social event. Other group members identified, and then discussed, the empowering language used to describe these actions. The group discussed the issue of NHS GPs refusing to refer patients for TMAU testing even when the patient has presented a page of information (printed from TMAU.org.uk ‘how to get tested’) during the consultation. It was decided that further raising awareness is needed, and it was agreed that an information leaflet should be designed for this purpose. The leaflet will be displayed in the Charles Dent Metabolic Unit of the National Hospital for Neurology and Neurosurgery and can also be distributed to GP practices. Subsequent discussions were cut short by time, but they included: sharing strategies to deal with bullying at work/school/college and comparing the efficacy of various supplements such as chlorophyll, Body Mint, charcoal, riboflavin. Finally, it was agreed that the patient group needs to be led and managed by its own members and that volunteers from our own community can take part in organising the content of sessions. So we need a logo! Our task is to create a very succinct, informative TMAU leaflet which features a simple logo. The graphic could be designed to identify the group as a strong, united community, which will support fellow sufferers. If you would like to contribute a logo/graphic for this leaflet, please let us know. TMAU (Trimethylaminuria) is a metabolic disorder in which the sufferer’s body emits the malodorous gas trimethylamine via the skin, hair, and/or breath. Although the disorder is not yet curable, patients take many measures (dietary restrictions etc.) to try to diminish the pungent odours they produce. Diagnosis of the disorder in the UK is available via the NHS through a GP referral to a metabolic specialist such as Dr. R. Lachmann. See tmau.org.co.uk : http://tmau.org.uk/index.php/getting-tested for further details.